Welcome to CME on ReachMD! This activity, titled Bleeding Disorders and Female Patients: Optimizing Care in Women’s Health Settings is provided by Prova Education and supported by an educational grant from Novo Nordisk Inc. The following interview was recorded live at Omnia Education’s Women’s Health Annual Visit. Before starting this activity, please be sure to review the disclosure statements, as well as the learning objectives. Here’s your host, Dr. Andrea Singer. I’m Dr. Andrea Singer, and joining me today is Dr. Ayesha Zia, Director of the Young Women’s Blood Disorder Program and Assistant Professor of Pediatrics, Division of Hematology and Oncology, at the University of Texas Southwestern in Dallas, Texas. Dr. Zia, thanks so much for joining us today. So, women with bleeding disorders, including hemophilia carriers and those with Von Willebrand disease, or VWD are disproportionately affected by bleeding when compared to men, largely due to menstruation and pregnancy. We’ll be reviewing 2 patient scenarios to identify how we as women’s healthcare providers can make significant impact in our patients’ lives by facilitating early identification, starting to manage patients, and referring to a hematologist with the goal of working in a multidisciplinary team to ultimately provide the best care to our patients. So, Dr. Zia, let’s jump right in. Our first case is a teenager presenting with abnormal uterine bleeding since menarche at age 12. She soaks 8 to 10 pads per day and bleeds for up to 2 weeks each month. She has frequent menstrual accidents at school and has come to you seeking treatment. So, can you talk about nomenclature and terminology and also what additional history you would need to start to suspect a bleeding disorder? Most of the time the default etiology that we all think about is anovulatory bleeding, which is when there is unopposed estrogen, and as a result of which the endometrium hyperproliferates and then it sheds kind of intermittently without any notice, and there really isn’t prostaglandin-mediated vasoconstriction or platelet plugging of the arterials. And really, the definition that I kind of use in my clinic is a menstrual length that is either less than 21 days or more than 45 days. What we know from research is that it is defined by a menstrual blood loss that is more than 80 mLs per cycle, or the UK has defined heavy menstrual bleeding as any blood loss that interferes with a woman’s physical, social, emotional quality of life irrespective of the volume of the blood loss. It is very hard to quantify 80 mLs of blood in each cycle. As women, we can’t do that, and then to expect that from adolescents, that’s even harder. So, really, the signs that predict that 80 mLs loss are if you’re changing 1 to 2 pads every 1 to 2 hours, you’re passing clots that are about a quarter in size, you’re low in iron. The questions was: What additional questions can you ask? As far as the personal history goes, you should ask about additional bleeding symptoms. And what they are: easy bruising, nosebleeds, oral bleeding in terms of gum bleeding. And I think the most discriminating symptom that you can ask about is bleeding after hemostatic challenges. And what I mean by that is: Have they had dental extractions? If they did, did they bleed after that? Have they had surgeries? And if so, did they bleed after that? Can you talk briefly about what screening tools exist? And out of those that are there, what would be the most useful for a women’s health practitioner to use? So, quantifying heavy menstrual bleeding, it’s very subjective. It’s often very hard to extract that history, and so bleeding assessment tools are an easy way to quantify the menstrual loss. It’s been validated. This particular tool is called the Philipp tool and in my clinic, it’s part of the intake. I think if you have that simple 4 questions, you can potentially identify adolescents or young women that might need further testing and refer to a hematologist. What specifically should we be thinking about? So the most common bleeding disorder that you’ll encounter, and certainly one that I encounter every day in my clinical practice, is Von Willebrand disease, and that’s followed by qualitative platelet dysfunction—so meaning when you do a CBC, the number is okay but they don’t function well—and then being a carrier of hemophilia. Bleeding disorders are more common in women who present with heavy menstrual bleeding, so you really need to be thinking about them when you’re evaluating somebody with bleeding disorders. What are your recommendations? What should we be doing in practice? If we’re going to test, what should we test for? And when is it appropriate to refer to a hematologist? The average age of a woman at which she gets diagnosed with a bleeding disorder is 35 years, but she’s had the bleeding disorder all her life, highlighting that there are delays in diagnosis. Now, regarding Von Willebrand testing, it’s very finicky. It’s very sensitive to transport. So, if you’re at a center where there is a special coagulation lab and there is on-site processing, please go ahead and send the Von Willebrand panel, and if the tests are abnormal, then refer to a hematologist, but if you’re going to send it to a reference lab that’s thousands of miles away and your suspicion is strong, then you might as well just refer to the hematologist, who can then send the appropriate testing. So let’s focus on management for a little bit. As women’s healthcare providers, we often—or I think many of us probably think about using different contraceptive methods to treat abnormal bleeding. Can you expand on that as an option for us? Yes. So, whether the patient presents to the PCP, OB/GYN, internist, family practitioner or a hematologist, the first-line therapy seems to be oral contraceptives. It does require special considerations in adolescents. There might be a component of PCOS, and there might be cultural and religious considerations that we need to take, because many family members or many parents, they do not want their 11-year-old or a 12-year-old to be on a hormonal contraceptive. And then there are other things, the social stigma of being on a birth control pill. I just say hormones, and families seem to like that. The other option once I have established the bleeding disorder is an IUD. Again, I think there are advantages and disadvantages. It depends on the age of the adolescent. You have to discuss the pros and cons, but if there is a bleeding disorder, then I’m personally a strong advocate of that. We know that when these patients are identified earlier, they can receive appropriate care from us, from a hematologist, from a multidisciplinary team. What other providers are key in the management of these diseases? There’s a Foundation for Women & Girls with Blood Disorders, and they really assembled this LAN, or Learning Action Network, and if you go on their website, you can look at your city and your area, your center, and figure out if there is this multidisciplinary center near you, and you can then send the patient to this clinic of excellence. So let’s move on to our second case. This patient is a pregnant, 30-year-old woman looking to establish care with you or with one of our providers. She was previously diagnosed with type 2M Von Willebrand disease. She received nasal Desmopressin and Amicar at the time of a tonsillectomy. She received Von Willebrand factor concentrate for an appendectomy. And of note, she has a history of oral bleeding, easy bruising, and has been treated with oral contraceptives for heavy menstrual bleeding. So, can you explain the changes in coagulation proteins that we might expect to see during pregnancy and the consequences of those changes on bleeding outcomes? There are a multitude of changes that occur in the coagulation proteins during pregnancy, and pertinent to this case, Von Willebrand factor and its carrier protein, which is factor VIII, they actually rise during pregnancy. The rise starts in your early first trimester, and by the third trimester, it’s 2- to 3-fold higher, reaching a peak around delivery. The levels actually plummet right after birth starting at day 3, and then they reach a nadir at 1 to 3 weeks after birth, and I think those are important to realize to guide management. The antepartum bleeding rates are 10-fold higher. Having said that, they do not translate into preterm labor, placental abruption, IUGR or fetal demise. However, if miscarriage does happen due to whatever reason, they will bleed more. As far as postpartum hemorrhage goes, I think the data are controversial. If you think about primary postpartum hemorrhage, that’s up to 40%, and secondary up to almost 25%. And then one complication, which is the perianal hematoma, which is really not that common in normal vaginal deliveries, reports show that it’s increased in women with Von Willebrand disease, especially when you have the more severe type of Von Willebrand disease, which are your type 2s and 3s, which is what this patient had. Can you briefly talk about how we should manage this pregnancy and delivery? So what we advocate for is checking a Von Willebrand level. Coming back to either spinal or epidural analgesia during delivery, if your levels are more than 50%, it is okay and it’s safe. It’s been shown to be safe to go ahead and offer those modalities for analgesia. And actually, it’s been shown that these patients do really well. The cutoff or the increment is poor when your baseline levels are 10% to 20%, because that 2-fold increase will not get them beyond that 50%, and then in that case you deliver or you think about co-managing with a hematologist, a high-risk OB and an anesthesiologist, and ideally engage a neonatologist as well. Great. Hematologists have been known to say that OB/GYNs don’t consult them early enough in the case of particularly pregnant patients when they are caring for a disorder. So, tell us, when would you like, as a hematologist, to be involved in an ideal world? I would say as early as possible. I think if you are seeing a young woman who expresses a desire to get pregnant, that would be the time to send her to the hematologist so the hematologist can discuss the risks associated with pregnancy and delivery, determine the bleeding phenotype, make sure that the level—they have levels in their own labs, and then discuss, also, the consequences for the baby as well. You’ve given us a lot of important information today to think about in terms of how to care for our patients with bleeding disorders, and I’d like to thank you for joining us for this interactive and valuable discussion. This activity has been provided in partnership with Prova Education. In order to receive your free CME credit, be sure to complete the posttest and evaluation by visiting ReachMD.com/Prova. Review two patient cases on bleeding disorders that demonstrate the important role of women’s healthcare providers in management. 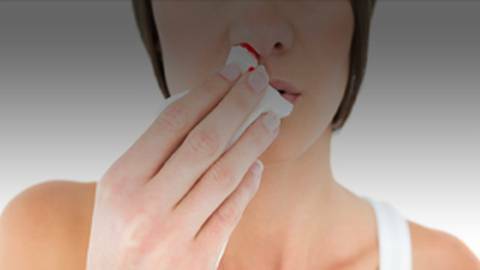 Women with bleeding disorders, including hemophilia carriers and those with Von Willebrand disease (VWD), or VWD are disproportionately affected by bleeding when compared to men, largely due to menstruation and pregnancy. In this CME activity, discover how women’s healthcare providers can make a significant impact in these patients’ lives by facilitating early identification, beginning management, and working with a multidisciplinary team to ultimately provide the best care to our patients. Dr. Andrea Singer welcomes Dr. Ayesha Zia to discuss these cases and more. Dr. Singer receives consulting fees from Agnovos, Amgen, Eli Lilly, Merit, Radius, TherapeuticsMD, and UCB and is a speaker for Amgen, Eli Lilly, and Radius. Dr. Zia conducts contracted research with Shire Pharmaceuticals. Stephen Chavez has nothing to disclose. Identify signs and symptoms that raise suspicion of a bleeding disorder to promptly refer for, or implement, management strategies. Incorporate evidence-based, multidisciplinary, and interprofessional management strategies for female patients with bleeding disorders, particularly menorrhagia and disorders during pregnancy and childbirth, to optimize safety. This activity is designed to meet the educational needs of obstetricians and gynecologists, primary care physicians, family practitioners and other members of the interprofessional team who are involved in the management of female patients suspected of having bleeding disorders. This activity is supported by an independent educational grant from Novo Nordisk Inc.